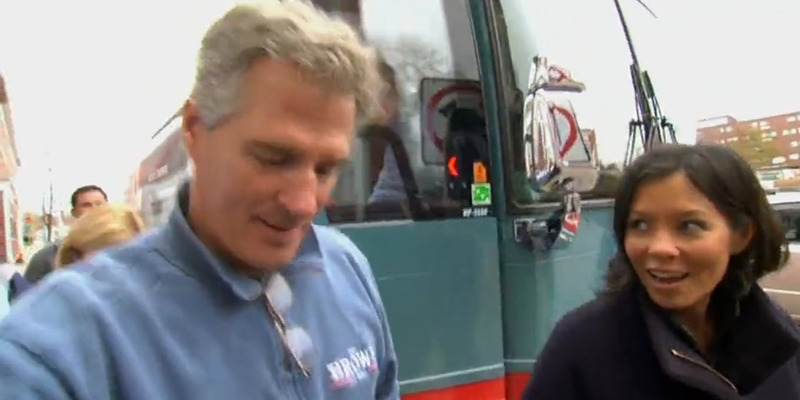 Former Sen. Scott Brown (R) apparently isn’t ready to say where he’ll live should he lose his race Tuesday night. Brown first represented Massachusetts in the US Senate before losing his re-election bid and moving across the border to run for a seat in New Hampshire this year. While on the campaign trail Tuesday, Brown was asked by MSNBC’s “NOW with Alex Wagner” whether he’ll return to the Bay State if he loses again. “That’s a silly question,” Brown replied as he turned away. Brown is facing off against incumbent Democratic Sen. Jeanne Shaheen in a race that is widely viewed as a potential indicator of whether Republicans will dominate across the country — or merely have a good night. Watch Brown dismiss MSNBC host Alex Wagner as she asks him about a potential plan B in the clip below.